"One Health Solutions to Prevent Tick-Borne Disease"
"A One-Health Path to Prevent Lyme and Other Tick-Borne Diseases"
Scheduled for session 3377.0, One Health: Environmental impacts and zoonotic diseases on Monday, October 31, 2016 at 2:30 p.m.
For general information about the APHA Annual Meeting or to find out about other sessions and presentations visit the Annual Meeting (http://www.apha.org/events-and-meetings/annual) home page. Registration and Housing are now open. Take advantage of the early-bird discount and register by August 11. The 2016 NIAA Antibiotics Symposium will be held in Herndon, Virginia. NIAA’s website, www.animalagriculture.org, has information on presenters, agenda and registration. 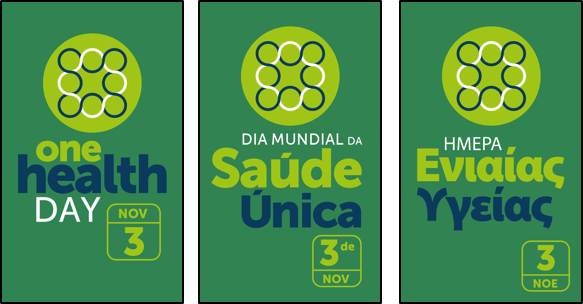 On Nov. 3, individuals and groups from around the world will celebrate a collaborative approach to improving human, animal and planetary health called One Health. Kansas City is celebrating, too. The Kansas City Area Life Sciences Institute, BioKansas and K-State Olathe are partnering to hold activities from 4-7 p.m. at the Kauffman Foundation. Activities include Collaborate2Cure, networking at a BioBreak and then a keynote presentation by world-renowned Zika expert, Dr. Stephen Higgs. The event also will be livestreamed on Zoom. Keynote presentation about Zika virus research by Dr. Stephen Higgs, director of the Biosecurity Research Institute at Kansas State University. Collaborate2Cure is a KCALSI program designed to stimulate collaboration across our region and solve specific scientific challenges. The program is geared for scientists, entrepreneurs, students and the general public. Programs will be held every Thursday in November and are dedicated to a specific topic, such as immunotherapy. Stephen Higgs is director of Kansas State University's Biosecurity Research Institute — a biosafety level-3 and biosafety level-3 ag facility that studies infectious diseases affecting the food supply. Higgs researches mosquito-borne viruses, such as the Zika virus, and has studied chikungunya, a mosquito-borne virus that has a similar transmission cycle to that of Zika virus. Recently, he and colleagues developed a promising vaccine for the Zika virus. Kansas City One Health Day is free. Kansas City One Health Day is brought to you through a collaborative partnership of Kansas City Area Life Sciences Institute, BioKansas and Kansas State University Olathe. St. George's University's Department of Public Health and Preventive Medicine is pleased to offer a One Health, One Medicine massive open online course (MOOC) in honor of the inaugural One Health Day, which will be celebrated worldwide on November 3. Titled "One Health, One Medicine: A Sustainable Approach", the course will cover a wide range of topics, including global health burden, determinants of health, strategies toward promoting health, and applications toward a sustainable approach for the health of humans, animals, and the environment. The course will also discuss the important specter of vector-borne diseases such as Zika, chikungunya, and dengue fever. * Embrace a definition of One Health, One Medicine that captures the unique characteristics of how humans, animals, and the environment are inextricably linked. * Apply broad global health tools needed to solve health problems with an emphasis on sustainability. * Demonstrate effective oral skills for communicating with different audiences in the context of sustainable approaches to health. * Communicate effective sustainable approaches to health to lay and professional audiences. On November 4, the One Health Commission is hosting the 2nd International Who's Who in One Health Webinar as an additional contribution to One Health Day. There is no fee to participate but everyone must register to get their own personal link to join the webinar. The 6th International Meeting on Emerging Diseases and Surveillance will be held in Vienna, Austria on November 4-7, 2016. This conference will bring together leading scientists, clinicians and policy makers to discuss information regarding the outbreak and response of emerging pathogens. The conference committee is currently accepting abstracts that are related to emerging diseases and surveillance. For more information about the conference and abstract submission details, please visit their website (http://imed.isid.org). "In collaboration with Swiss TPH and FutureLearn, the University of Basel in Switzerland has produced the free online course ONE HEALTH: CONNECTING HUMANS, ANIMALS AND THE ENVIRONMENT. The course explores an integrative approach to human and animal health and examines the value of it - as well as explain how One Health strategies work in practice. For further information see https://www.futurelearn.com/courses/one-health/. Enrollment is now open. The course starts on 7 Nov 2016." This presentation is open to UGA faculty and staff as well as the surrounding communities, include veterinarians and medical professionals. Dr. Howerth will be joined by Dr. Chris Whalen, MD, Director of the Center for Global Health at UGA. This presentation will detail a recent case of canine M.bovis infection and lead discussions related to potential transmission during veterinary procedures, necropsy, and of course potential transmission to owners in certain types of infections. The World Veterinary Association (WVA) and World Medical Association (WMA) in close collaboration with the JMA and JVMA are preparing the 2nd GCOH to be held on November 10th-11th in Kitakyusyu City, Fukuoka Prefecture, Japan. Following the successful Global Conference on One Health (GCOH) that was held in Madrid in May 2015, the World Veterinary Association (WVA) and World Medical Association (WMA) in close collaboration with the Japan Medical Association (JMA) and the Japan Veterinary Medical Association (JVMA) are preparing the 2nd GCOH to be held on 10t-11th November in Kitakyushu City, Fukuoka Prefecture, Japan. Note: The first landmark World Veterinary Association (WVA)/World Medical Association (WMA) Global Conference on One Health which was held in Madrid, Spain on May 21-22, 2015, brought together 330 delegates from 40 countries around the world to discuss the One Health Concept. Please join One Health Academy on Thursday, November 10th, 2016 at 6:30 PM at the Capital Yacht Club (660 Water St SW) in Washington, DC where our guest speaker will be Ms. Juli Trtanj. Please RSVP, by e-mailing Onehealthacademy@gmail.com. Ms. Trtanj will discuss What do Marine Mammals, El Nino, and Zika have in common? NOAA's One Health Approach. A recording of Dr. Kahn's talk will be up soon from last month! 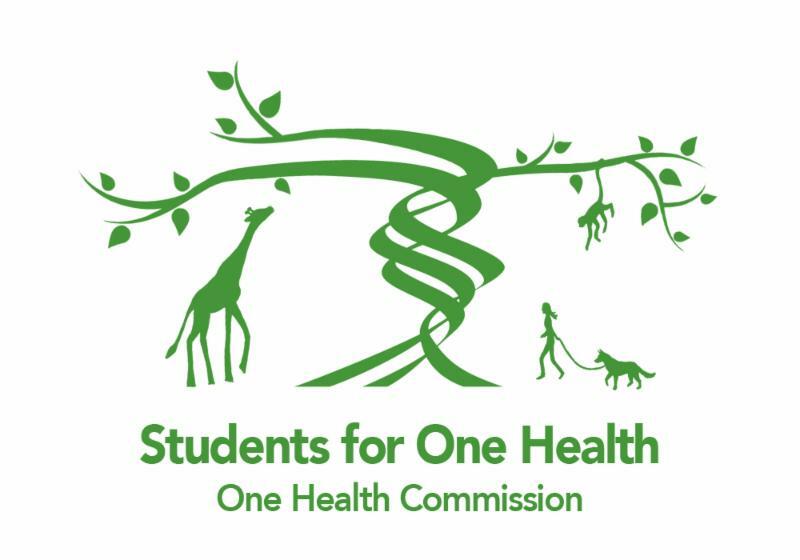 George Washington University's student One Health group will be having events October 31-November 2. To find out more, follow them on Facebook by clicking here. On November 15th, the Smithsonian National Museum of Natural History will be hosting and screening and panel discussion of Spillover: Zika, Ebola, and Beyond. For more information and to register, go here. More upcoming One Health events are also listed on our website here. The first annual One Health Day is November 3rd. Get excited and find out more here!! Juli Trtanj is the One Health and Integrated Climate and Weather Extremes Research Lead for NOAA. She is responsible for developing and implementing the National Oceanic and Atmospheric Administration (NOAA) Health Strategy across NOAA and with other federal, state, local and international Agencies, academic and private sector partners. She is leading efforts to build the National Integrated Heat Health Information System in partnership with the Centers for Disease Control, FEMA, OSHA, NIOSH, ASPR, EPA and other agencies. She coordinates the NOAA One Health Working Group and Ecological Forecasting Roadmap efforts focusing on health and climate. She has developed and directed multidisciplinary and multi-partner programs on Climate Variability and Human Health, and Oceans and Human Health. 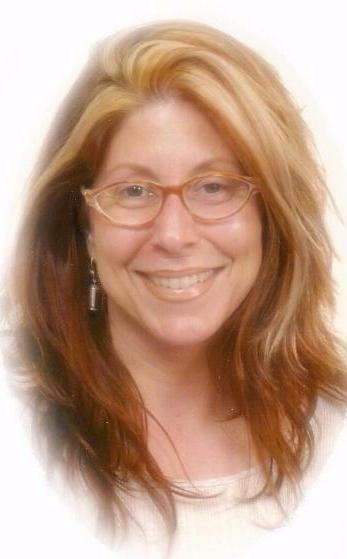 Ms. Trtanj co-chairs the US Global Change Research Program, Climate Change and Human Health Group (CCHHG) and represents NOAA on the White House Pandemic Prediction and Forecasting Science and Technology Working Group. She served on the Steering Committee and was a Convening Lead Author for the USGCRP Climate and Health Assessment. She represents NOAA on the International Working Group of the US Group on Earth Observations, is the Integrated Information System for Health Lead for the Group on Earth Observations (GEO), and is directly involved with the World Health Organization (WHO), and other partners in the development of the Integrated Information Systems for heat, cholera and other water-related illnesses. She has contributed to, reviewed, or edited sections of several IPCC and US National Climate Assessment reports and authored several book chapters and journal articles. She earned her Master in Environmental Science from Yale School of Forestry and Environmental Studies in 1994, and her Bachelors in 1986 from the University of California Santa Barbara. There is a 50 person limit to our meeting so we suggest you register early. The cost of the evening is $20.00 per person and includes dinner, discussion with colleagues and networking. Students (with identification) may attend for $10.00. as we factor in the cost for food based on RSVP count. The nearest Metro station is Waterfront-SEU. The entrance to the club is facing the water where the old Channel Inn used to be. Free Parking is now available to the left of the building in the surface lot labeled for Capital Yacht Club members. Vision: A world where regular activity, a balanced diet and healthy weight are part of every family’s life. In order to ensure the continuity of the International One Health Congresses, the One Health Platform will be responsible for organising subsequent editions. We are currently seeking expressions of interest in hosting the Fifth International One Health Congress. Download the Call for Expressions of Interest now. Since 2011, three International One Health Congresses have been organized on a biennial basis. The fourth edition will be held in Melbourne, Australia, December 3-7, 2016...beginning tomorrow! Please join One Health Academy on Thursday, December 8th, 2016 at 6:30 PM at the Capital Yacht Club (660 Water St SW) in Washington, DC where our guest speaker will be Dr. Bernadette Dunham. Please RSVP, by e-mailing Onehealthacademy@gmail.com. Directions can be found here. Dr. Dunham will discuss One Health: Engaging in a Multidisciplinary Approach. On April 4, 2016 Dr. Bernadette Dunham joined the Milken Institute School of Public Health at the George Washington University as a Visiting Professor, where her focus is on One Health issues. Dr. Dunham also serves as the Senior Science Advisor to the Deputy Commissioner, OFVM, U.S. Food and Drug Administration. From 2008-2016 Dr. Dunham served as the Director of the U.S. Food and Drug Administration's (FDA) Center for Veterinary Medicine (CVM) which was responsible for ensuring the safety and effectiveness of animal drugs, and the safety of animal feed, including pet food. Prior to becoming CVM's Director, she served as CVM's Deputy Director and concurrently as Director of CVM's Office of Minor Use and Minor Species from August 2006 to January 2008. She came to CVM in December 2002 as the Deputy Director of CVM's Office of New Animal Drug Evaluation. Dr. Dunham has served as an Adjunct Professor in the Department of Biomedical Sciences and Pathobiology at the Virginia-Maryland Regional College of Veterinary Medicine from 1996 to 2012. She lectured on a variety of topics from emerging issues and opportunities in veterinary medicine to the role of consensus building in policy development. Prior to joining FDA, Dr. Dunham was Assistant Director for the American Veterinary Medical Association's Governmental Relations Division in Washington, D.C. from 1995-2001. In that position, she participated in the formation and execution of AVMA policies, objectives and programs, with emphasis on Federal legislation and regulatory issues. From 1989 to 1995, Dr. Dunham was the Director of Laboratory Animal Medicine and Adjunct Professor of Pharmacology at the State University of New York Health Science Center in Syracuse, N.Y. Dr. Dunham's research focused on the molecular regulation of cardiac gap junction proteins. She participated in a post-doctoral residency program in the Department of Pathology at the New York State College of Veterinary Medicine, Cornell University, Ithaca, N.Y., from 1987 to 1988. Dr. Dunham was a Research Assistant Professor at Boston University from 1984 to 1987. Prior to returning to academia to pursue her Ph.D., Dr. Dunham was in private clinical practice in Ontario, Canada from 1975 to 1979. Advancing the science and practice of health surveillance worldwide. Dr. Tracey Dutcher is part of a team coordinating the animal health component of One Health within the U.S. Department of Agriculture, Animal and Plant Health Inspection Service. Prior to joining USDA, Tracey spent 7 years as an epidemiologist in Federal and state public health agencies (CDC, Indian Health Service and the Alaska Department of Health and Human Services), working across the spectrum from outbreak investigation and response to policy development. Tracey specializes in facilitating the development of innovative partnerships with Federal Agencies, academia, and industry to increase efficiency and effectiveness of managing complex health threats through cross-disciplinary collaboration. Her current priorities include working with academic partners to build and apply practical tools that enable an ‘operational’ approach to working across organizational and disciplinary lines. Dr. Dutcher is an alumnus of the CDC Epidemic Intelligence Service, and a diplomate of the American College of Veterinary Preventive Medicine. Over the last decade, the One Health approach has gained support as a valuable way to address complex issues at the interface of humans, animals, and the environment. Moving from theory to application is more challenging, though, and experts within each sector are eager for practical tools that enable an ‘operational’ approach to working across agency and disciplinary lines. The One Health Systems Mapping and Analysis Resource Toolkit (OH-SMART) was co-developed by the University of Minnesota and the U.S. Department of Agriculture to meet this need. Dr. Dutcher will provide an overview of the OH SMARTTM toolkit and describe outcomes from recent applications including during a workshop at the ISDS annual meeting. Please join One Health Academy on Thursday, January 12th, 2017 at 6:30 PM at the Capital Yacht Club (660 Water St SW) in Washington, DC where our guest speaker will be Dr. Jennie Lane. Please RSVP, by e-mailing Onehealthacademy@gmail.com. Visit our RSVP page to pay for dinner electronically (credit/debit card). If you are unable to attend in person, we will be streaming the webinar (slide and audio) through the help of One Health Commission. Please register here. Dr. Jennie Lane is an Animal Health and Livelihoods Technical Advisor for Land O'Lakes International Development. She recently relocated to Washington DC after working for a year in Malawi with a USAID funded Livestock for Resilience. 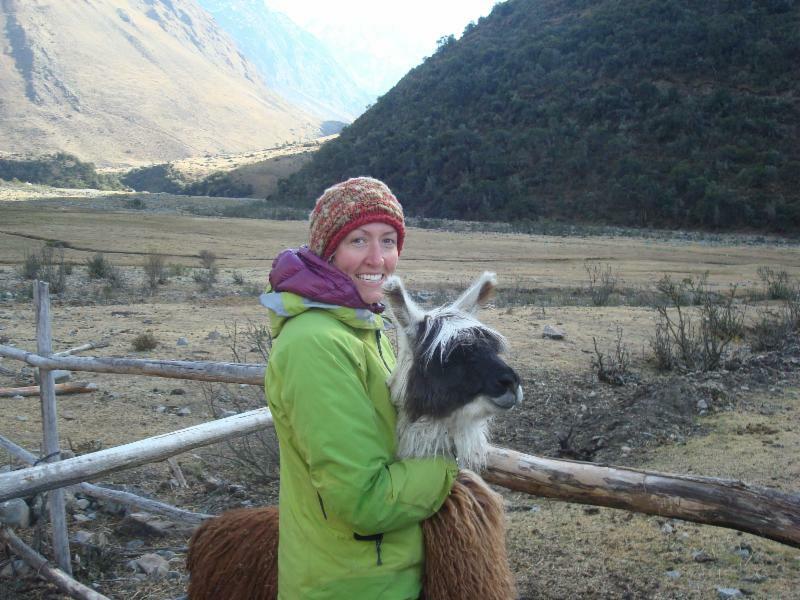 Jennie's current research focuses on better understanding the pathways of impact livestock transfer programs have on food security and nutrition at the household level, and the role of financial services in livestock development programming. 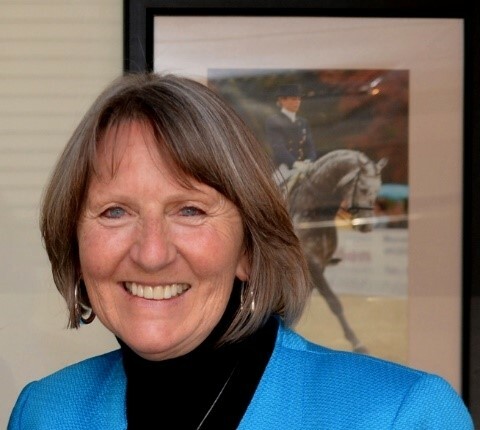 A native of upstate New York, Jennie graduated from Michigan State University, College of Veterinary Medicine in 2007 and spent six years practicing equine and small animal medicine in Pennsylvania and Delaware. Her work with working equines as a veterinarian in developing countries around the world, including the Dominican Republic, India, Peru, Mexico, Nicaragua, Montserrat, and Costa Rica, inspired her interest in better understanding the relationships between livestock health, livelihoods, and human health and nutrition. In May 2014, she received a Master of Public Health (MPH) degree with a global health concentration from the University of California, Berkeley. Her MPH research investigated the relationships between working equine health and human health and livelihoods in Nicaragua. Jennie is particularly interested in sustainable and collaborative interventions to improve livelihoods of the world's poorest small holder farmers, and has a special love for working equines (horses, donkeys and mules). In her free time, you can find Jennie unplugged in the wilderness, on a bicycle or sailing. We are thrilled to announce the first of our monthly One Health seminars to celebrate St. George's University 40th anniversary. Our first seminar with Founder and Chancellor Dr. Charles Modica will explore the genesis and evolution of SGU from the early days, through the years and to current day. Chancellor Modica will share the experiences and circumstances which led to the establishment of St. George's University, how the development of medical, veterinary, arts and sciences and graduate education led to a center of excellence in One Health One Medicine. And, how SGU brings the world together through its global representation and projection. This seminar is offered as part of the One World, One Health, One Medicine 40th Anniversary Course. The course is a free, year-long course consisting of monthly seminars with thought leaders in Public Health . Students who pass may elect to receive 12 CPH credits. Attendees will be exposed to relevant areas of One Health with special emphasis on approaches that integrate medicine as One Health and from a global One World perspective. Issues/Diseases of global healthimportance will be covered as well as their linkages to humans, animals and the environment. The course is a 48 contact hour, year long experience in which students are required to attend, participate in presented topics via monthly online webinar sessions as well as engage in discussion blogs, complete quizzes and develop a seminar presentation for peer review. The course is divided into 12 modules with each month in the year 2017 serving as a module focused on a particular One World, One Health, One Medicine approach. Each module will include live seminars, reading materials, quiz and a blog for posting submissions to a discussion question. This course will contribute to the development of global health professionals, who will demonstrate multidisciplinary knowledge and competence in dealing with global health issues, desire for lifelong learning, evidence-based practice, interdisciplinary team work, and professional and ethical behavior in practice in order to improve and sustain the health of the humans, animals and the environment. To embrace One Health that captures the unique characteristics of how humans, animals and the global environment interact with each other. To acquire broad global health tools needed to solve issues that are of international relevance. To demonstrate effective written and oral skills for communicating with diverse audiences on global health context. To gain a One Health perspective through the lens of a One World and One Medicine perspective. National Center for Science Education (NCSE), Washington, D.C. Please join One Health Academy on Thursday, February 9th, 2017 at 6:30 PM at the Capital Yacht Club (660 Water St SW) in Washington, DC where our guest speaker will be Dr. Will Sander. Please RSVP, by e-mailing Onehealthacademy@gmail.com. Dr. Sander will discuss Pharmaceuticals in Water: A Global Perspective. Dr. Will Sander will discuss pharmaceuticals in water from a global perspective. Pharmaceuticals do not just have intended effects as most get into the water system and can have unintended consequences on the environment, animals, and potentially people. As part of his time at the Environmental Protection Agency (EPA), Will performed independent research looking at pharmaceutical occurrence around the world and policies and strategies from a global perspective. Currently, Will is a veterinary specialist government contractor with Booz Allen Hamilton in Washington, DC supporting the Cooperative Biological Engagement Program (CBEP) within the Defense Threat Reduction Agency (DTRA), part of the Department of Defense. His work centers on supporting CBEP to identify gaps in and bolster support for biosurveillance for human and animal health systems around the world. He also is a volunteer wildlife veterinarian at City Wildlife, Washington D.C.'s only wildlife rehabilitation center. Prior to Booz Allen Hamilton, he was an American Association for the Advancement of Science (AAAS) Science and Technology Policy Fellow at U.S. EPA, Office of Water/Office of Science and Technology looking at potential human health impacts from pharmaceuticals in water. Dr. Sander received his Bachelor of Arts in Biology at Colby College, his DVM from University of Wisconsin-Madison and his MPH in Global Health from Yale University. He's a Diplomate of the American College of Veterinary Preventive Medicine. Will directs the One Health Academy in Washington, D.C. and is the AVMA House of Delegates (HOD) alternate for DCVMA. The Texas Department of State Health Services, Cameron County Department of Health & Human Services, and City of South Padre Island would like to invite you on February 15-17, 2017 to the Hilton Garden Inn at South Padre Island, Texas for the 2nd Annual South Texas Tropical Medicine and Vector Borne Disease Conference. The main emphasis for this event is to promote awareness of vector borne diseases and the interdisciplinary approach involved in controlling and preventing vector borne diseases. The South Texas Tropical Medicine & Vector Borne Disease Conference is the 1st ever interdisciplinary vector borne disease specific conference relevant to the South Texas region. General sessions will include presentations on topics such as vector biology, vector control emergency management, vector borne disease pathology, epidemiology, public health, vector control techniques, laws, and regulations. Such broad& varying topics demand transdisciplinary approaches for effective prevention and control methods. This conference is provided by the Texas Department of State Health Services, Health Services Region 11. Local Hosts: City of South Padre Island and Cameron County Department of Health & Human Services. The third One Health Bristol http://onehealthbristol.weebly.com/ conference has been confirmed, and will be held at Bristol University central campus at the Centre for Comparative and Clinical Antomy. This will be a day of talks and discussions from key speakers across the breadth of One Health. ​Check back soon for updates on our confirmed talks.. Please join One Health Academy on Thursday, March 9th, 2017 at 6:30 PM at the Capital Yacht Club (660 Water St SW) in Washington, DC where our guest speaker will be Dr. Patrick Mc Gann. Please RSVP, by e-mailing Onehealthacademy@gmail.com. Dr. Mc Gann will discuss Cut, Copy, and Paste: How Antibiotic Resistance Genes Move Between Bacteria. Dr. Patrick Mc Gann received his PhD in Microbiology from the National University of Ireland, Galway (NUIG) in 2004 with a focus on the interface between animal and human environments in contributing to the spread of antibiotic resistance. In 2004, Dr. Mc Gann joined the Laboratory for Food Safety, Cornell University, Ithaca, New York where he completed a Post-Doctoral position focusing on the pathogenic mechanisms of the foodborne pathogen Listeria monocytogenes. In 2006, Dr. Mc Gann was awarded a National Research Council (NRC) Fellowship to study at the Walter Reed Army Institute of Research (WRAIR) in Silver Spring, MD where he spent 4 years working on vaccine development for the biothreat agent Francisella tularemia. In 2010, Dr. Mc Gann joined the nascent Multi-drug resistant organism Repository and Surveillance Network (MRSN) at the WRAIR, where he is currently the Chief of Molecular Research. Dr. Mc Gann is the author of 38 research publications, primarily focused on antibiotic resistance mechanisms in bacteria of clinical interest. Note: The recorded lecture will be available at this website post-lecture. June 2007- American Medical Association Meeting during “One Health” resolution testimony. Historic resolution subsequently adopted. Left to right: Ronald M. Davis, MD, President AMA, Roger K. Mahr, DVM, President, American Veterinary Medical Association and Laura H. Kahn, MD, MPH, MPP of Princeton University. For specific information about awards, please visit this webpage. Please join One Health Academy on Thursday, April 13th, 2017 at 6:30 PM at the Capital Yacht Club (660 Water St SW) in Washington, DC where our guest speaker will be Dr. Jack Shere. Please RSVP, by e-mailing Onehealthacademy@gmail.com. Dr. Shere will discuss One Health in APHIS. If you're not available to attend in person, One Health Commission is providing Dr. Shere's talk as a live webinar and will be recorded to watch later. To register for the webinar, please click here. New fellowship opportunities have been added to our website at both Department of Homeland Security and Centers for Disease Control and Prevention. 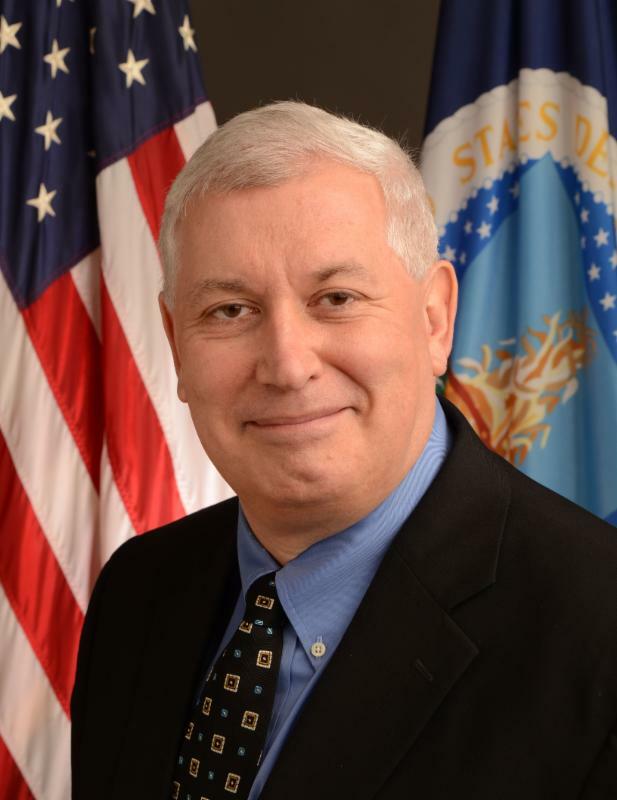 Dr. Jack A. Shere is the Deputy Administrator for Veterinary Services at the US Department of Agriculture (USDA), Animal Plant Health Inspection Service (APHIS). Beyond the domestic program diseases work that is a large part of the Veterinary Services mission, Dr. Shere has worked on animal disease outbreaks of Salmonella enteridittis (SE), Foot and Mouth Disease (FMD) in England, Low Pathogenic Avian Influenza (LPAI), Exotic Newcastle Disease (END), and High Pathogenic Avian Influenza (HPAI). During the 2002-2003 Exotic Newcastle Disease Outbreak in California, Texas, New Mexico, and Utah, he served as the Joint Area Commander and Incident Commander for the task force that eradicated this disease from the United States. Dr. Shere has held many roles since joining the USDA APHIS Veterinary Services in 1990, serving as a field Veterinary Medical Officer (VMO) in Nebraska and Wisconsin. 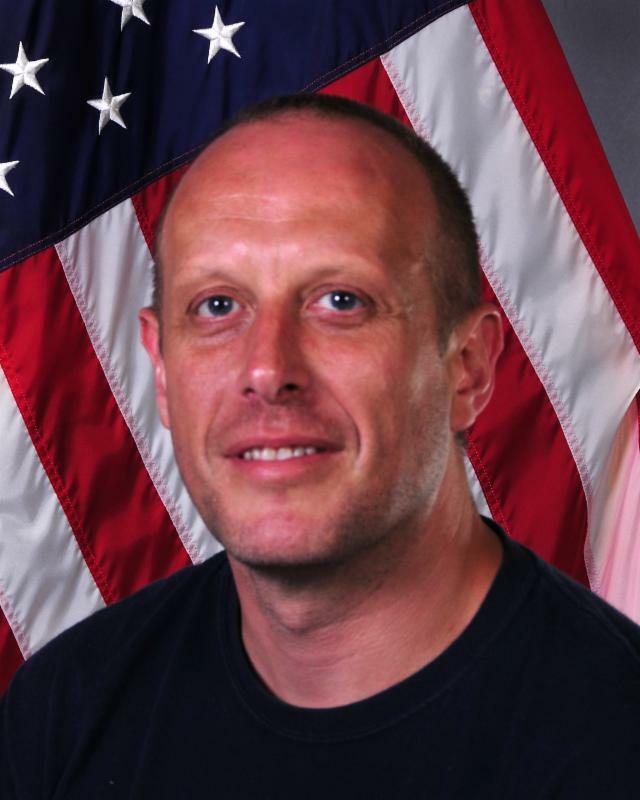 In Wisconsin, he worked both as a field VMO and as the State Area Epidemiology Officer (AEO) from 1991 to 1999. In 1999, he was promoted to the position of Area Veterinarian in Charge (AVIC). Dr. Shere served as the AVIC from April 1999 to November 2002, when he was promoted to the position of the Associate Regional Director (ARD) for the Western Region of the United States. From 2005 to 2013, Dr. Shere was the Eastern Regional Director of the United States for Veterinary Services. Dr. Shere received a BS in Biology and Chemistry in 1981, a DVM in 1987, and a MS in Education with a minor in counseling in 1988 - all from Iowa State University. He practiced Veterinary Clinical Medicine for three years in Georgia. He received a joint PhD in Poultry Science and in Microbiology, which were awarded in 2001 from the University of Wisconsin in Madison, Wisconsin. His PhD research and dissertation involved the epidemiology and ecology of Escherichia coli O157:H7 in cattle. Celebrate World Veterinary Day in Montpelier! Come and help represent the veterinary profession as Governor Scott signs a proclamation in honor of World Veterinary Day http://www.worldvet.org/news.php?item=320! On Tuesday, April 25 in Montpelier, the Governor will sign the proclamation recognizing Saturday, April 29 as World Veterinary Day 2017, the theme of which is “Antimicrobial Resistance - From Awareness to Action.” Members of the VVMA Executive Board, the Governmental Relations Committee, and the One Health Committee will be on hand to celebrate the signing with the Governor, and we invite interested member veterinarians to join us for the ceremony and photo with the Governor. Governor Scott has shown himself to be interested in Vermont businesses including veterinary practices; let’s show him we’re just as involved! We will be gathering at 1:05 p.m. outside the Governor’s Ceremonial on the second floor of the Capitol. Take the stairway to the left of the main lobby the room is at the top of the stairs. Here is the Proclamation https://netforum.avectra.com/public/temp/ClientImages/VTVMA/9071efbc-f45b-477e-b9cc-64515d89e3d4.pdf. Special thanks to Ruth Blauwiekel, One Health Committee member who wrote the proclamation; our lobbying firm, MMR, who expedited our request to the Governor, and Executive Director Kathy Finnie who coordinated all aspects of the campaign. Paris/Brussels, 29 April 2017 – The availability and use of antimicrobial drugs has transformed the practice of human and animal medicine. Infections that were once lethal are now treatable, and the use of antimicrobial agents has advanced global health as well as animal health, which is a key component of animal welfare, food security and safety. During its General Assembly in September 2016, the United Nations acknowledged that “Antmicrobial resistance reduces our ability to protect the health of animals and therefore is threatening safe and sustainable food and agriculture production". Veterinary practitioners have a key part to play in the fight against antimicrobial resistance: they are the direct interlocutors of paraprofessionals as well as farmers and animal owners, and can trigger a sustainable change in behaviour towards a responsible and prudent antimicrobial use. “Through their role in supervising the use of antimicrobials, offering professional advice to farmers and animal owners and collaborating with the human health sector, veterinarians have a key role to play in combatting the growing threat of antimicrobial resistance. They are at the forefront to promote sound animal husbandry hygiene methods and the implementation of accurate vaccination strategies” highlights Dr Monique Eloit, OIE Director General. “They have the responsibility to raise awareness among farmers and animal owners on the prudent use of antibiotics and these actions are supported worldwide by the OIE Global Strategy against antimicrobial resistance”. WVA President Dr René Carlson says: “The availability and use of antimicrobials are essential to ensure the good health and welfare of animals as well as people. After years of promoting awareness about the dangers of misusing antimicrobials, it is time we recognise the actions organisations around the world are taking to promote the responsible use of antimicrobials in both animals and people to prevent further development of antimicrobial resistance and the proper disposal of antimicrobials to protect our environment, such as our waterways and oceans. This is a One Health issue for which all health care providers, both human and veterinary, must take personal responsibility”. Spread the word on the activities which you held at this occasion or during the year and take the chance to win the World Veterinary Day Award! The competition is open to all WVA member associations, alone, or in cooperation with any other selected body. The winner will be announced at the Opening Ceremony of the OIE 85th General Session on 21 May 2017 (Paris, France) and the award will be presented to the winner during the World Veterinary Congress 2017 from 27th -31st August 2017 (Incheon, Rep. of Korea). The 8th International Conference on Emerging Zoonoses in Kansas follows seven successful conferences, each of which provided an interdisciplinary forum for physicians, veterinarians, epidemiologists, immunologists, virologists, microbiologists, public health experts and others concerned with the ever increasing problems associated with the transmission of infectious diseases from animals to humans and the economic impact of transboundary diseases. We encourage you to join us in Manhattan, Kansas in May. This webinar will highlight the recently-announced winners of the inaugural One Health Day 2016 Student Event competition.  It will also feature a simultaneous online discussion, share SOH opportunities, answer students' questions, and connect like-minded individuals and groups worldwide. It's free - but every computer must register to receive its own unique log in. Gather a crowd and watch/listen together! "DIN is a not-for-profit conference and serves as a forum for the presentation of epidemiological investigations, clinical case studies, basic and applied research, and other topics in emerging and current zoonotic and environmentally-acquired infectious diseases. The conference's goalis to increase knowledge and awareness of these diseases within the medical, public health, and academic research communities. DIN is co-sponsored by the Texas Department of State Health Services Zoonosis Control Branch and the Texas Health Institute. For more information about zoonoses in Texas, please visit the Zoonosis Control Branch's website at http://www.dshs.state.tx.us/idcu/health/zoonosis/. For more information about the Texas Health Institute, please visit http://www.texashealthinstitute.org/. Please join us May 24-26, 2017 at the beautiful AAA 4-Diamond Omni Mandalay Hotel in Irving, Texas for the 67th annual meeting of the James Steele Conference on Diseases in Nature Transmissible to Man. This conference provides excellent, informative presentations by local, state, national, and international experts, continuing education credits for a variety of professions, and a great opportunity to network with colleagues and make new friends!" Please join One Health Academy on Thursday, June 8th, 2017 at 6:30 PM at the Capital Yacht Club (660 Water St SW) in Washington, DC where our guest speaker will be Mr. Joshua Glasser. Please RSVP, by e-mailing Onehealthacademy@gmail.com. Joshua Glasser is a Foreign Affairs Officer at the U.S. Department of State's Office of International Health and Biodefense, where he holds a portfolio focused on human health and the global environment. He has also served with the Department's Bureau of East Asian and Pacific Affairs and the Special Envoy for Climate Change. 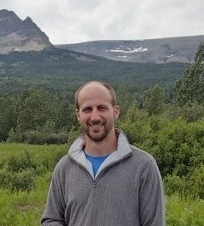 Josh has worked on a variety of One Health issues, including in the Arctic region, Southeast Asia, and India, and in the context of the Global Health Security Agenda and the World Health Organization. He graduated from the University of North Carolina at Chapel Hill with a degree in political science and public policy analysis. He holds a Master of Science in Global Health and Population from the Harvard T.H. Chan School of Public Health, where his thesis focused on mapping human vulnerability to climate-related health risks. He has also studied as a Fulbright Scholar in Vietnam (2007-2008). Josh joined the State Department as a Presidential Management Fellow in 2013; his work has been recognized with a Superior Honor Award, three Meritorious Honor Awards, and a Director's Award from the National Institutes of Mental Health. You are kindly invited to participate in ESWI’s colloquium on influenza preventing policies for children. The event will gather key opinion leaders in paediatrics, family medicine, public health policy, regulatory affairs and academic influenza research. ESWI organizes this scientific symposium in response to the observation that – despite WHO’s recommendations to routinely vaccinate young children against influenza – only five EU Member States have actually included this target group in their influenza vaccination programmes. spark the scientific debate on concerted, well-balanced influenza preventing policies for children in Europe. Participation in the colloquium is free of charge, but places are limited. Register now to secure your seat. More information about the colloquium and its scientific programme is to be found on our webpages. Conversations and news on how science and scientists influence policy and decision-making has increased in the past few months, and the challenges faced between science, policy, and politics is not new. In the fields of science (epidemiology, medicine, public health, animal health, and food safety among others), decision-making and policy informed by science is imperative and yet we have all experienced how other factors may alter those decisions and policy development. During the call, clinicians will learn how specific examples of zoonotic disease responses have highlighted the contribution of science, policy, and politics in successful and some not so successful outcomes. Participants will need to register for the webinar. Click here to register. CECH: Sponsored by the Centers for Disease Control and Prevention, a designated provider of continuing education contact hours (CECH) in health education by the National Commission for Health Education Credentialing, Inc. This program is designed for Certified Health Education Specialists (CHES) and/or Master Certified Health Education Specialists (MCHES) to receive up to 1.0 total Category I continuing education contact hours. Maximum advanced level continuing education contact hours available are 0. CDC provider number 98614. ACPE: The Centers for Disease Control and Prevention is accredited by the Accreditation Council for Pharmacy Education as a provider of continuing pharmacy education. This program is a designated event for pharmacists to receive 0.1 CEUs in pharmacy education. The Universal Activity Number is 0387-0000-17-152-L04-P and enduring 0387-0000-17-152-H04-P course category. Washington, D.C. (May 11, 2017) – At its heart, the concept of One Health is rooted in the notion that the health of humans, animals, and the environment are all interconnected. At BIO’s 2017 International Convention (June 19-22 in San Diego), programming will feature the One Health concept through stories that show how science and technology are making tomorrow’s breakthroughs possible. In our speaker presentations and panel discussions, attendees will hear stories that illustrate the concept of “One Health” and how modern technologies are enabling us to solve global challenges through a collaborative One Health-focused approach. Panelists will also explore the barriers to success and what industry and others can do to solve the problems One Health is poised to address. BIO 2017 International Convention (BIO 2017) is in San Diego June 19-22 and registration is now open! Check out the complete BIO 2017 program including Keynotes, Super Sessions, Educational Tracks and Fireside Chats with scientific experts, government leaders and leading biotech CEOs. And stay tuned for more updates as we approach BIO 2017! 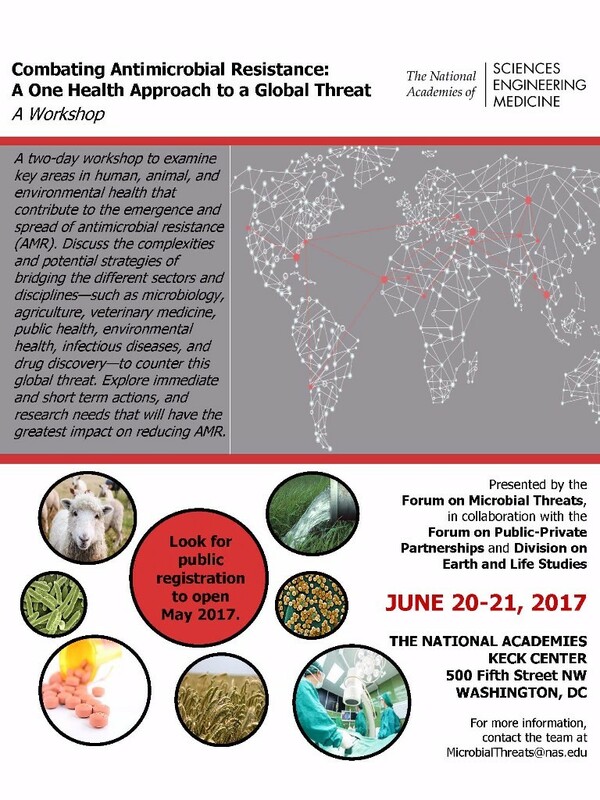 Visit our page to learn more about the workshop on "Combating Antimicrobial Resistance: A One Health Approach to a Global Threat," and stay updated as public registration opens and the agenda is released. “Insights for One Health from Centuries and Millennia Past” - Indiana Convention Center, Indianapolis, Indiana July 22, 2017 at 10:00 a.m.
Saturday morning American Veterinary Medical Association (AVMA) convention at July 22, 2017 Keynote Brunch 10 a.m. http://atwork.avma.org/2017/01/27/keynote-speaker-paul-sereno-will-bring-the-past-to-life-at-avma-convention-2017/ at the Indiana Convention Center, Indianapolis, Indiana.